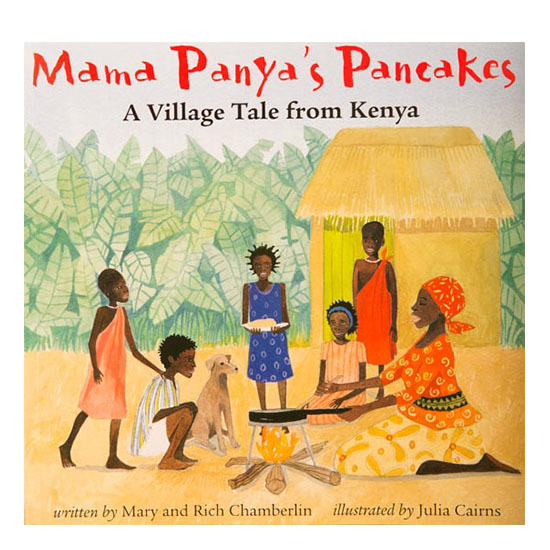 Mama Panya’s Pancakes: A Village Tale From Kenya – WePAC's Favorite Books! Summary(from publisher): How can Mama Panya cook pancakes for everyone when she has barely enough money to feed her son, Adikia? It is Adika who is one step ahead of her – he knows how! This African story about the rewards of sharing offers a message that is universal. Accompanying Discussion: Discuss folktales and the lessons that they teach. Talk about generosity and the importance of sharing food, etc. Accompanying Activities: Color a picture of pancakes or ask students to draw their favorite meal to eat at home. More great activities here!